Born in Tibet, Lama Drimed Lodro studied the Chinese language as a young boy. At the age of twelve, he asked his mother to leave home to study under the highly realized master, Galo Rinpoche. At the age of 15, Lama Drimed entered the renowned Sertha Larung Five Sciences Buddhist Academy and began 14 years of scholastic learning under H.H. Jigme Phuntsok Rinpoche. He continued his studies through the completion of all required training leading towards a Khenpo’s degree. From H.H. Jigme Phuntsok Rinpoche, he received the entire Nyingtik lineage (including Nyingtik Yabzhi, Dzod Dun, Ngalso Korsum, Yeshe Lama, and Chetzun Nyingtik) empowerments, scriptural transmissions, and explanations on the pith instructions for the Great Perfection as well as the complete cycle of H.H. Jigme Phuntsok Rinpoche’s terma collection. From H.H. Penor Rinpoche, he received Nyingtik Yabzhi, Zhi Khro (A Hundred Peaceful and Wrathful Deities), ‘Dus Pa Mdo (root tantra of Anuyoga), and many others cycles of profound teachings in the Palyul lineage. From Ven. Yangthang Rinpoche, he received all of the empowerments and scriptural transmissions for the Kama and Terma cycles and Lama Gongdü of the Nyingma school. He also served as the Tibetan-to-Chinese translator during the Kama empowerments at ODD. At the request of his uncle, Ven. Gyatrul Rinpoche, Lama Drimed came to the U.S. in 2003 for the first time to teach Buddha Dharma to Western students. In 2004, he founded a California State-approved non-profit organization, Shensem Tsogpa Tibetan Cultural Center (STTCC), in support of one of his most emphasized missions — life release. 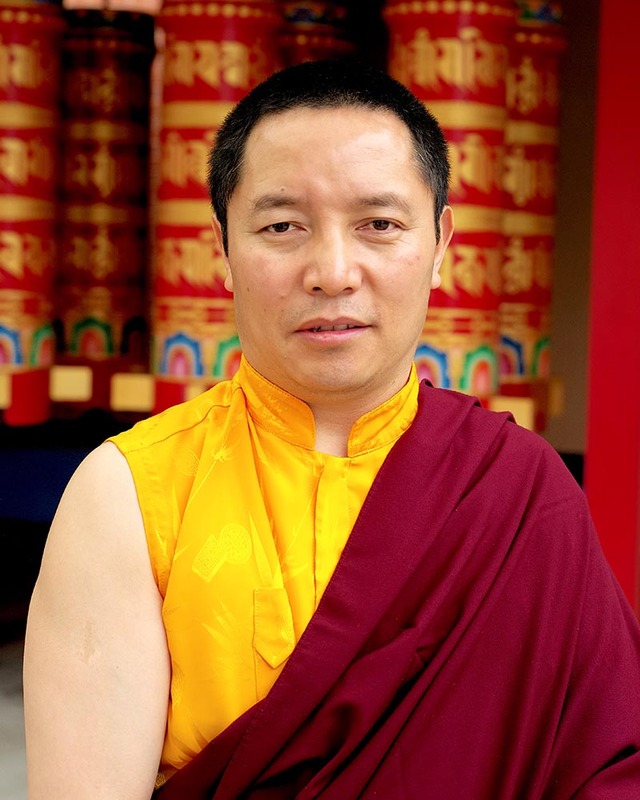 In 2005, he founded Dechen Rang Dharma Center (DRDC), also a State-approved NPO aiming at teaching and training Buddhist practitioners in scriptural learning and meditation practice. Lama Drimed currently lives part time in Alameda, at Orgyen Dorje Den. In addition to leading pujas and giving Vajrayana teachings, Lama Drimed serves on the ODD Board of Directors and, as such, is a principle in maintaining the viability and integrity of the center. His compassion and kind guidance is a great asset to ODD. Lama Jigme was born in Ngawa, Amdo (a region in the eastern part of Tibet). He entered the Thupten Chogyal Ling Monastery at a young age and studied reading, writing, grammar, and other foundational subjects from his uncle, Lama Kunga Sonam. From Kunga Tugjepa Lama, he received the teachings of “The 6 Branches of Union”, a text from the Kalachakra and widely used in the Jonang lineage as a traditional preliminary (ngondro) practice. Kunga Tugjepa Lama, the vajra master of his monastery, was very famous in that area and became his root teacher. At the age of 20 he accomplished the preliminaries along with many other monks. 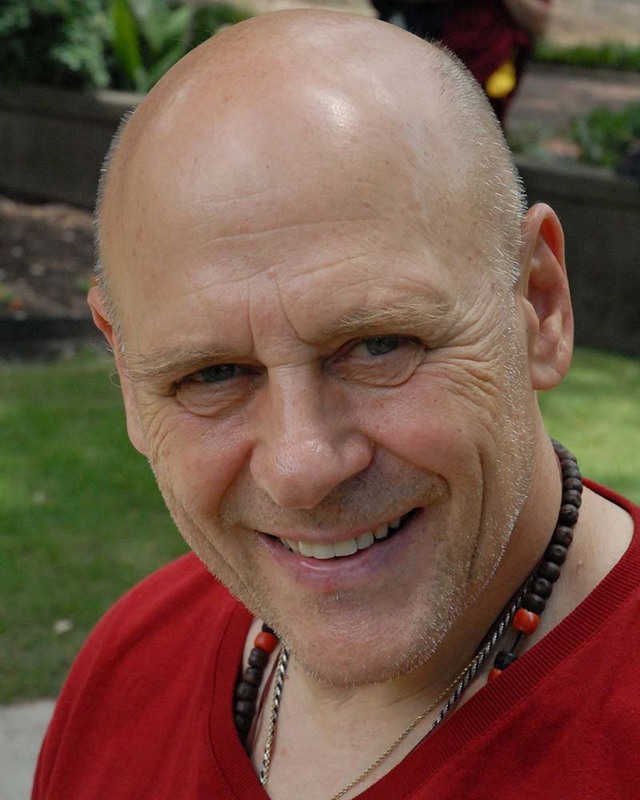 Following that, he entered a “Remba Sum” retreat for 49 days. At 25, he took the Getsul vows of a monk and at 29 he took the Gelong vows to become a fully ordained monk. He then went to India and met His Holiness the Dalai Lama. He also went on pilgrimage in India to visit holy sites. At the age of 30, Jigme came to America and in 1993, he met Gyatrul Rinpoche at his center in Oregon, Tashi Choling. He lived and traveled with Rinpoche as his personal attendant until 2006. Jigme was a consistent, faithful helper to Rinpoche and assisted him in his many dharma activities. Jigme also worked with Mirror of Wisdom, Rinpoche’s dharma publishing group, and copied many hundreds of pechas which have been distributed around the world and have filled numerous statues and stupas. Jigme became a US citizen in 2000 and now lives at Orgyen Dorje Den. He is a great asset to our sangha; a stable and reliable monk and kind spiritual friend leading some of our pujas and patiently assisting students as we strive to learn the dharma. Lama Les Collins originally hails from Toronto, Canada, and although he has lived in the Bay Area since 1984, he has had the good fortune of being one of the first Westerners to connect with Tibetan Buddhist teachers following their great exodus from Tibet in 1959. From about 1970 until the mid 1980’s Lama Les served, studied, practiced and traveled with many of the great lineage masters of the Kagyud, Nyingma & Sakya traditions, including HH the 16th Gyalwa Karmapa, HH Dudjom Rinpoche and HH Sakya Trizin Rinpoche. From them, and other teachers including HH the Dalai Lama and HE Kalu Rinpoche, he received many empowerments, pith instructions and profound wisdom blessings, which he was able to put into practice in both monastic settings and in private retreat places during those years. Starting in 1974 in Toronto, Lama Les connected with Ven. Gyatrul Rinpoche, who was to become one of his primary spiritual mentors. His relationship evolved over repeated meetings and in the mid 1980’s Lama Les moved to Tashi Choling for several years, receiving teachings, practicing and cementing an unshakeable faith in Rinpoche. 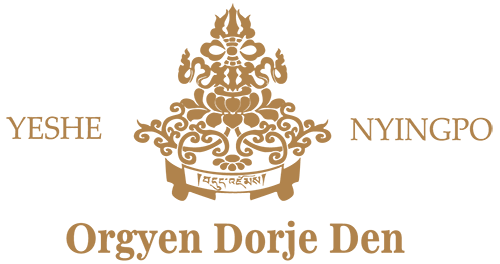 In 1990 Lama Les moved to the SF Bay Area, and since then has worked consistently to serve Rinpoche, first as a Board member helping with every aspect of dharma center management, and now as teacher. 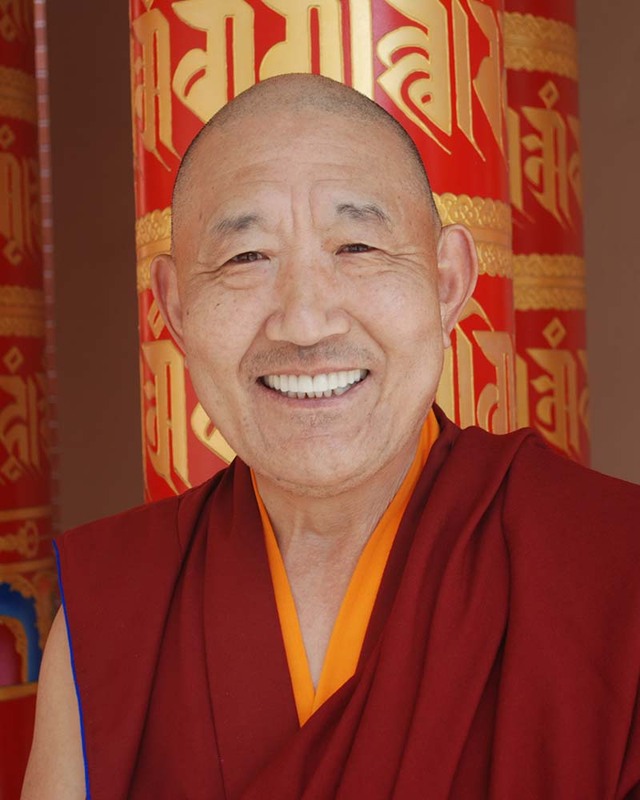 Following an extensive teaching on the Six Bardos that Gyatrul Rinpoche gave in 1995, Lama Les embraced the practice on a personal level and eventually began offering bi-weekly teaching and practice opportunities at ODD, and leading retreats at Tashi Choling and in Ojai. In the early 2000’s, Gyatrul Rinpoche gave Lama Les his blessings, encouragement and full support in his teaching efforts, which have provided a doorway through which many people have entered the dharma and been able to embrace Vajrayana practice.